Jay Gould was a complex man. No "good time Charlie," not a man to clamor for attention (as was his contemporary and sometime crony Jim Fisk, colorfully described here), Gould had a quieter but doubtless striking focus and intensity. 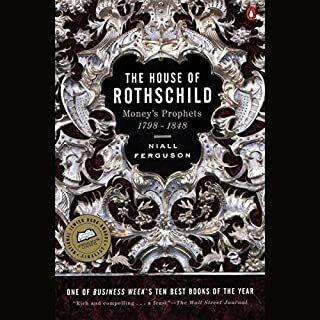 Plenty of light is shed here on the individuals along the way to Gould's apex of wealth, financial dealing and power, and this moves nicely as a human story. I do hear the author being an apologist for Gould, not distractingly so, but it seems to me the desire to rehabilitate the man's reputation sometimes clashes with the story we are being told. Gould is presented as a smart and motivated fellow in a fairly sympathetic light, passing through difficulties not uncommon to his era, but rather suddenly we find him tangling bitterly with a few business partners who come to despise him (rightly or wrongly), and boom! Here he is in New York City and in the middle of every kind of duplicity in the Erie Railroad wars with Fisk, Vanderbilt and others, a viper pit (or perhaps a every exciting gladiatorial arena, depending on one's views) if there ever was one! Only the most clever, swift and tough could survive in that situation, and I wonder where THAT Gould came from, fairly suddenly. But I enjoy this story, and I like the deal details and pace. 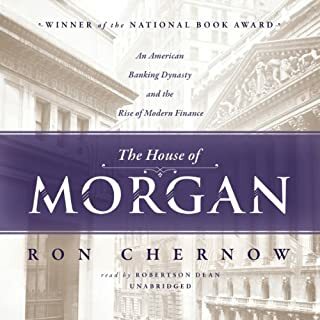 I was looking for Ron Chernow's biography of J.P. Morgan and settled for this. Jay Gould is mostly forgotten now and hearing the facts of his life filled in a lot of US Gilded Age history for me. 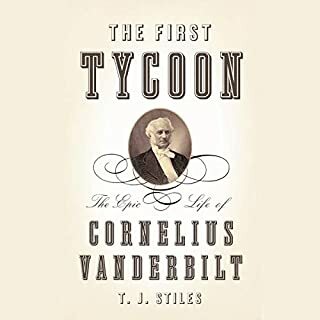 You'll also learn about 'Commodore' Vanderbilt, the snaky bible talking Drew Pearson and my favourite, the big living 'Colonel' James Fisk Jr.
Gould was a master manipulator and to listen to the strategies he came up with and how he executed them was very entertaining. There were a few caveats- the book wasn't digitally mastered perfectly, there are a few glitches, mostly in the first half of the book. As well, the final chapter is an in depth tracing of all his descendants which felt unnecessary. A final reason to read this - the next time you play Monopoly you'll know the crazy histories of all the railroad properties! 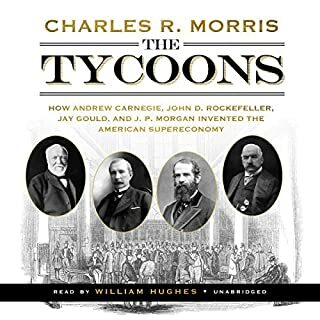 This is a good compliment to similar biographies like "The First Tycoon" which is regarding Vanderbilt who Gould struggled against during the Erie War. 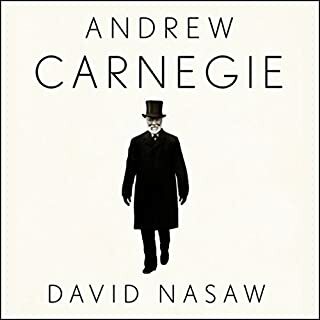 It is a very well balanced biography based on what relatively little balanced subject matter exists regarding the man. 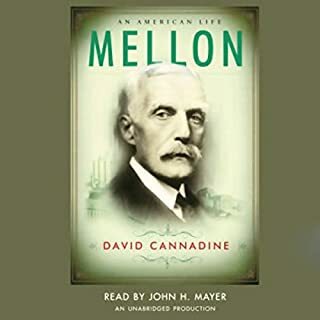 The narration was good, with the exception of either an error in my download or a sound engineer making mistakes with long pauses between chapters making me think my playback had stopped and strange jumps and repeats where multiple takes of the same section were left in. Instructive and worthwhile. The author does a great job with this book and it makes you feel as though you are listing a well told story as apposed to a biography. It's very clear, and much appreciated, that the author was not swayed by well over a century of negative press written about Gould, and that he really took a fresh, objective look at the life of the titan. The only downside to the book was the missing bits of audio throughout. It's like the audio file was cut up and pieced back together with small bits missing. 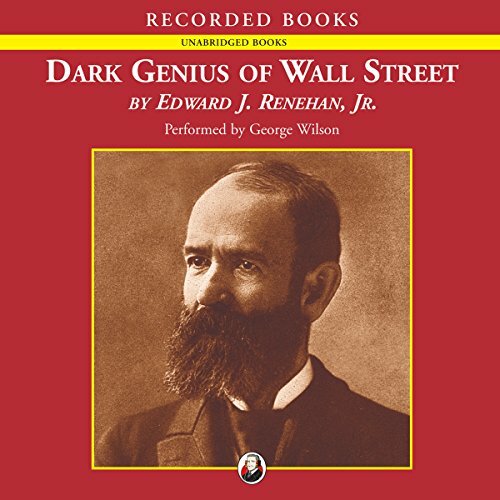 Would you try another book from Edward Renehan and/or George Wilson? My problem was not with the content or reader's performance but with the recording itself. There were numerous gaps throughout the recording. It was like reading a book and every now and then a page is missing. I tried downloading the book again but that did not make a difference. The problem persisted. Excellent recounting of a little known luminary in Finance. Arguably the greatest financier in history, provable on the basis of wealth. audio cuts are screwed up. in many spots, the end of sentences are cut off. Great story, great performance, bad recording. Lots of skips and jumps. It doesn't ruin the work but it is very annoying.